I've been busy Christmas crafting this week. I love this time of year when I can sit at the coffee table with the log burner going full roar, a hot cup of tea and my own weight in glitter! What's not to love?! 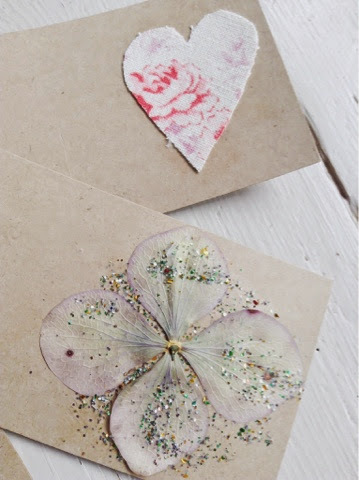 I make different variations of my Christmas tags every year, although dried hydrangea petals always feature heavily. 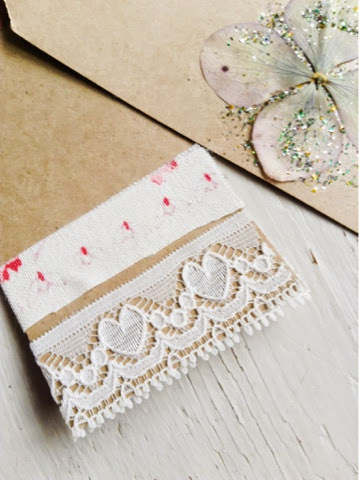 This year I had some pretty lace and some Kate Forman fabric left over so decided to do some fabric ones too. 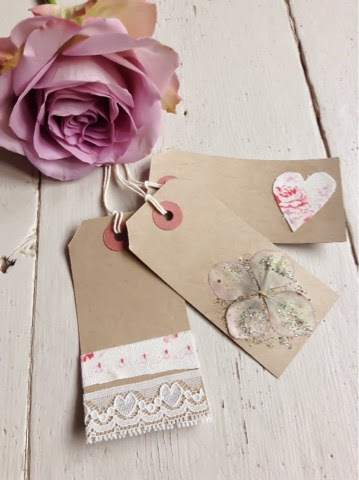 My family love getting these tags on their pressies, and often use them as bookmarks, they are just too pretty to throw away! My tags are very simple to make yourself, but if your stuck for time they are available from my online shop. (Link on page). As well as a fresh wreath, I also made this natural one from our wisteria stems and decorated it with Rose buds that I had dried out and threaded onto cotton, and some fresh ivy from the woods. I love it's rustic charm. Perfect for any season, and looks good inside as well as outdoors. 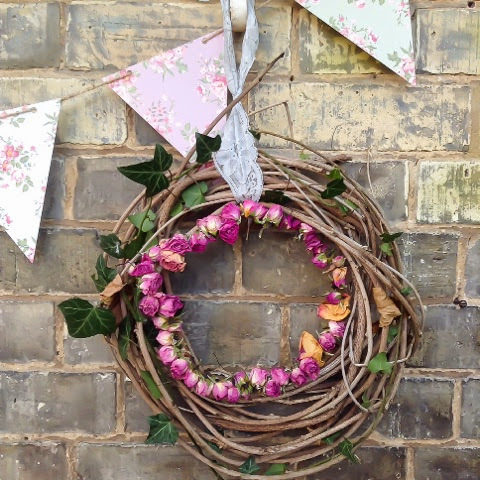 My wisteria wreaths will be available to buy online in the spring. I hope you're all having a good week, and that you are enjoying all of the festivities that Christmas brings.